Our kit contains all of the supplies necessary for administering epinephrine to both children and adults. It is assembled in an FDA-approved facility which also carries licensing to repackage pharmaceuticals in all 50 states. 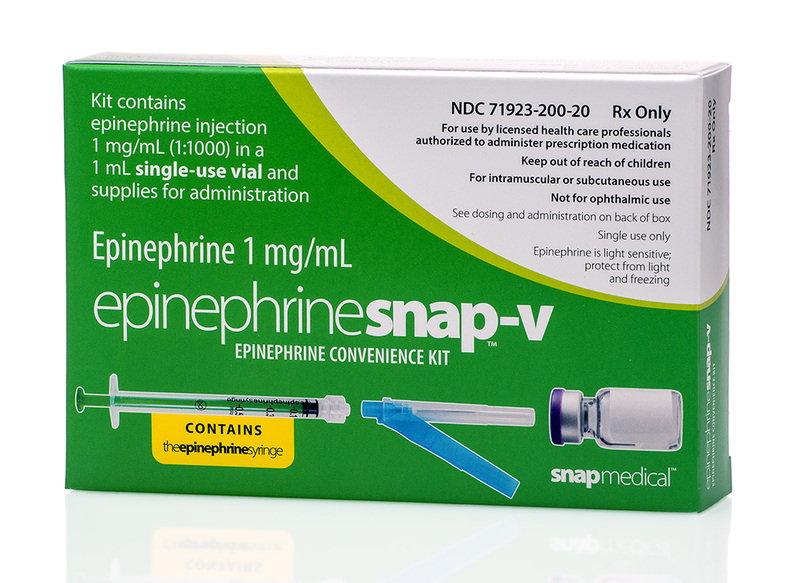 To Order: EpinephrineSnap-V kits are available nationwide through these wholesale distributors. 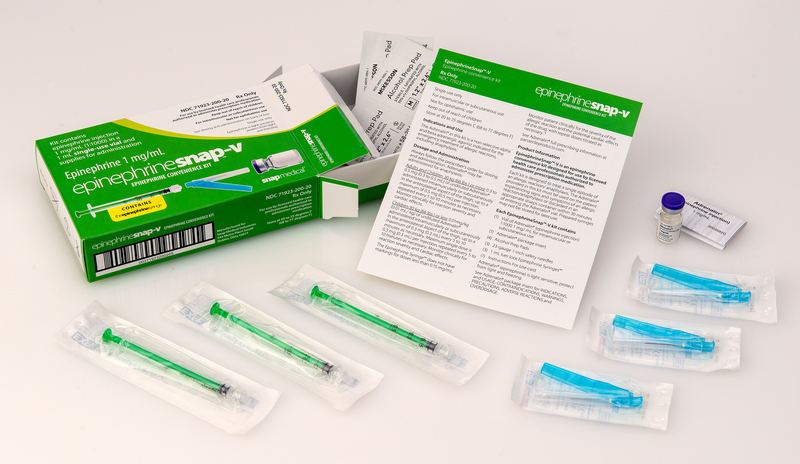 Contact us at (800) 875-4508 or info@snapmedicalindustries.com with any questions. Also available: Our Training and Demonstration Kit provides an opportunity for the clinician to review the actual kit (excluding the Adrenalin). 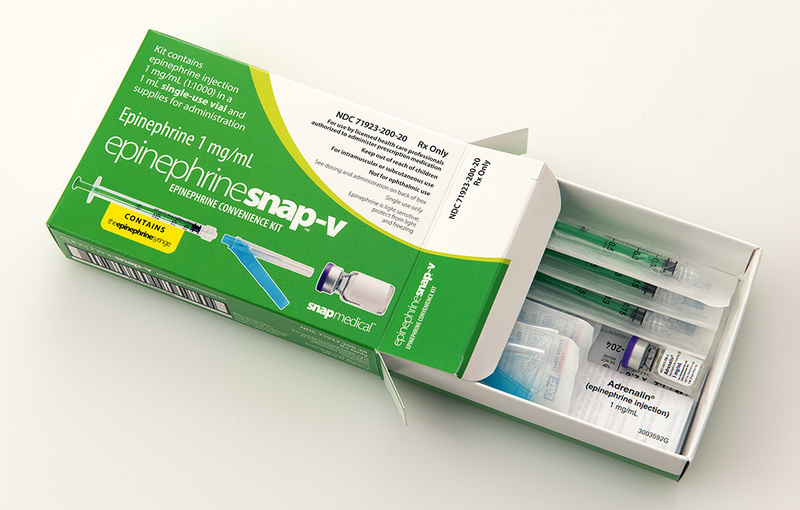 Focus Health Group is an authorized distributor of EpinephrineSnap-V.
Go to fda.gov/Safety/MedWatch or call 1-800-FDA-1088.